Overwatch patch 1.23 is done and has gone live. Highlights are the PvP version of Rialto, a nerf to Tracer that I as a Tracer main personally hate but whatever no you’re salty, and a long-awaited rework for one of the game’s most annoying heroes – Hanzo. As always, there’s plenty more, so here’s the full lowdown. Looking to get into Overwatch, or want a view of the current meta? Here’s our guide to the best Overwatch characters in each class. Patch 1.23 is live now, having been applied to the game on May 3. After slaying waves of Talon agents on a nighttime version of Rialto in the Retribution event, the daytime version of the same level came to the PvP game in patch 1.23. 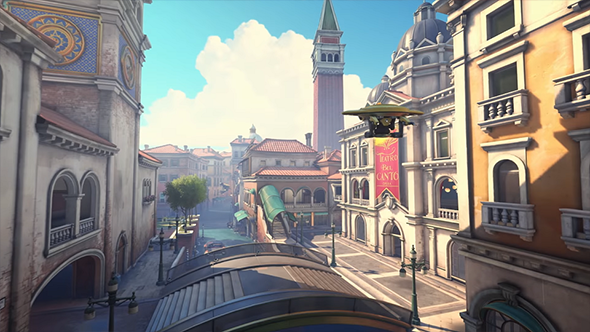 Rialto was home to Talon agent Antonio Bartalotti’s sprawling estate and the backdrop to the infamous ‘Venice Incident,’ a turning point for Overwatch and Talon. The Italian government has taken great steps to preserve Venice, and the results are striking. Tourists visiting this picturesque town can sample the regional cuisine, enjoy a relaxing gondola ride, visit Galleria D’arte Omnica, or simply take in the sights with a stroll along the canal. Cone angle reduced to 60 from 90. Developer Comments: When fighting against Brigitte, it often felt like Shield Bash was able to hit you when you felt like you should have dodged it. On the flip side, when playing as Brigitte sometimes you would hit the wrong enemy in the middle of a fight. With the cone being reduced the ability is more accurate to its visual representation. Projectile speed increased from to 100 from 85. Cooldown decreased to 12 seconds from 20. Duration decreased to 6 seconds from 10. Radius decreased to 7 meters from 10. Projectile size decreased to 0.2 from 0.3. Tire movement speed decreased to 12 from 13. Developer Comments: These changes are aimed at lowering some of the most frustrating parts about playing against Junkrat. Decreasing the Frag Launcher’s projectile size means he will have to aim a bit more carefully to land powerful direct hits, and slowing the RIP-Tire’s movement speed gives his opponents slightly more time to destroy it before it detonates. Wall leap boost decreased to 2.0m/s from 2.5 m/s. On the leap boost:This change is just part of the overall changes to wall riding. Now that you can ride on many more surfaces and boost/land on the same surface, we’re reducing the leap boost itself slightly. Max damage decreased to 300 from 400. Mercy’s Regeneration (passive ability) can now be turned off in Custom Game settings. 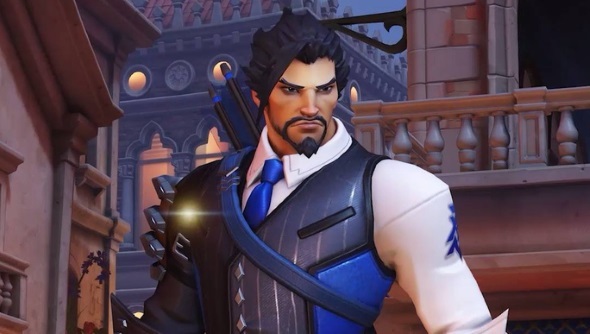 Settings for Hanzo’s Lunge and Storm Arrow abilities can now be found in the Custom Game settings. Fixed a bug that caused the option “Invite to a Custom Game” to appear while in the Tutorial and Practice Range. Fixed a bug that prevented training bots from returning to their original position and behavior after being hit with an ability (e.g. Lúcio’s Soundwave). Fixed a bug that caused bots to use the wrong route when tracking down the player if their target jumped off a ledge. Fixed a bug that caused bots to get stuck on the siege tank in the StarCraft area of Blizzard World. Fixed a bug that caused custom game invites to persist on the invitee’s screen. Fixed a bug that prevented Bastion’s Zwing Zwing Zwing voice line from playing if the Null Sector skin was equipped. Fixed a bug that prevented Genji’s melee attack from making sound effects. Fixed a bug that prevented Genji’s golden weapon variant from displaying its golden sheen when some skins were equipped. Fixed a bug that allowed Junkrat’s RIP-Tire to be immune to the freeze effects of Mei’s Endothermic Blaster. Fixed a bug that allowed Lúcio to move around while caught in Junkrat’s Steel Trap. Fixed a bug that allowed Lúcio to travel straight up using Wall Ride. Fixed a bug that prevented crowd control abilities from affecting Resurrect (e.g. McCree’s Flashbang). Fixed a bug that prevented Moira’s flask from displaying in her Erlenmeyer victory pose when an Overwatch League skin was equipped. Fixed a bug that caused Reaper’s Hellfire Shotguns to float when previewing his Dance emote in Hero Gallery. Fixed a bug that caused the camera to not focus correctly when viewing Roadhog’s Mug Shot victory pose. Fixed a bug that caused Roadhog’s Chain Hook to float during his Footsteps highlight intro. Fixed a bug that prevented the laser sight from Sombra’s Machine Pistol golden variant from tapering at its end if her Talon skin equipped. Fixed a bug that caused Widowaker’s HUD to disappear if she used Widow’s Kiss while looking through the scope. Fixed a bug that caused the logos on Symmetra’s Overwatch League skins to appear faded when viewed in the Hero Gallery. Fixed a bug that caused the logos on Torbjörn’s Overwatch League skins to appear faded when viewed in the Hero Gallery. Fixed a bug that caused bots to get stuck walking into the side of the Rikimaru Ramen Shop on Hanamura. Fixed a bug that allowed players to place turrets in unintended locations on Horizon Lunar Colony. Fixed a bug that allowed players to reach unintended locations in Horizon Lunar Colony. Fixed a bug that caused the pig head on the bike to float after the bike had been destroyed in Junkertown. Fixed a bug that allowed players to place turrets and Symmetra’s Teleporter in unintended locations in Junkertown.